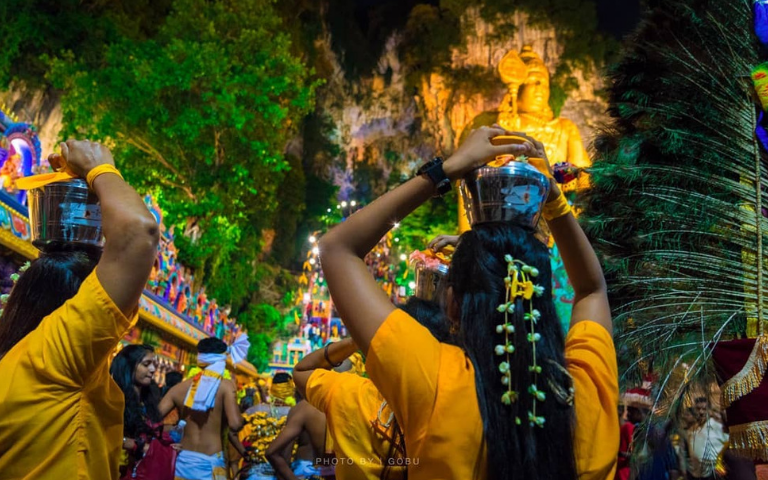 Vel, as a symbol of divinity and Thaipusam, is the day when Lord Murugan received the divine Vel from his mother. 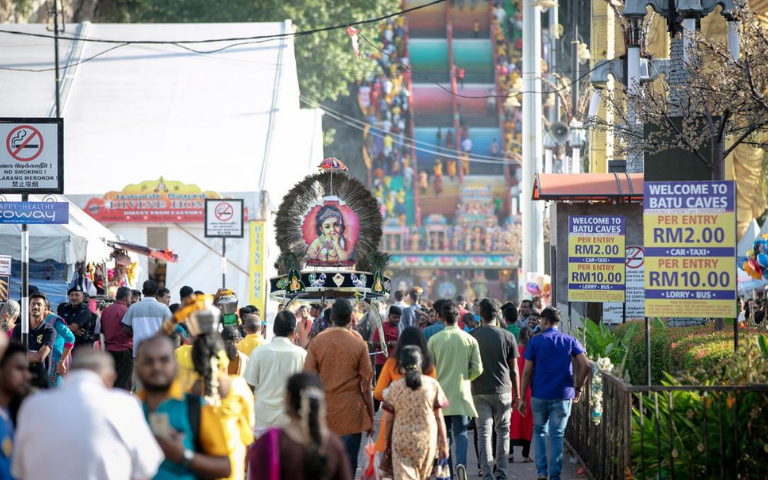 A devotee with his cheeks pierced with a spear begins his pilgrimage to the shrine of Lord Murugan. Vibhuti or 'holy ash' was applied before and after the removal of the spear, at the sites of piercing. This Idumban kavadi made its way up to the top of Batu Caves. 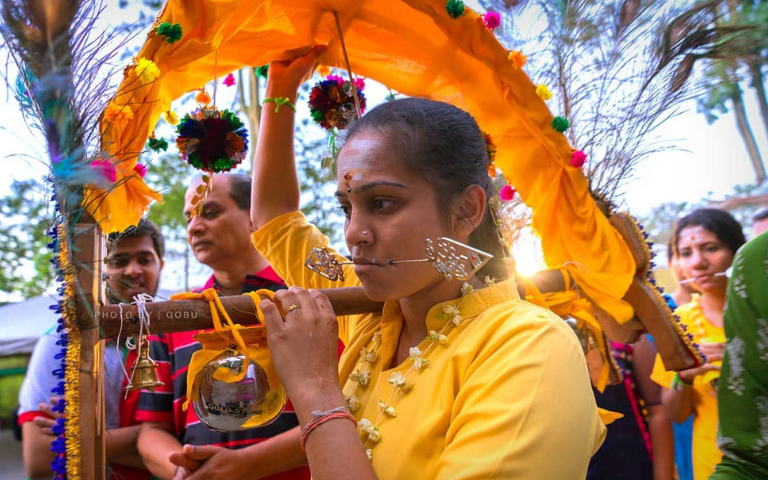 This kavadi is linked to the story of the Idumban who carried two hills down South on the request of his teacher Saint Agasthiar. 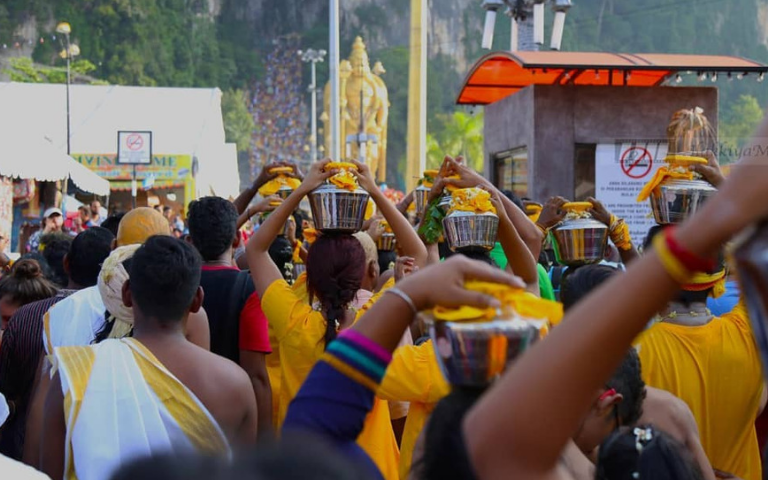 The Paal Kudam (Milk Offering) is another popular form of offering during Thaipusam. 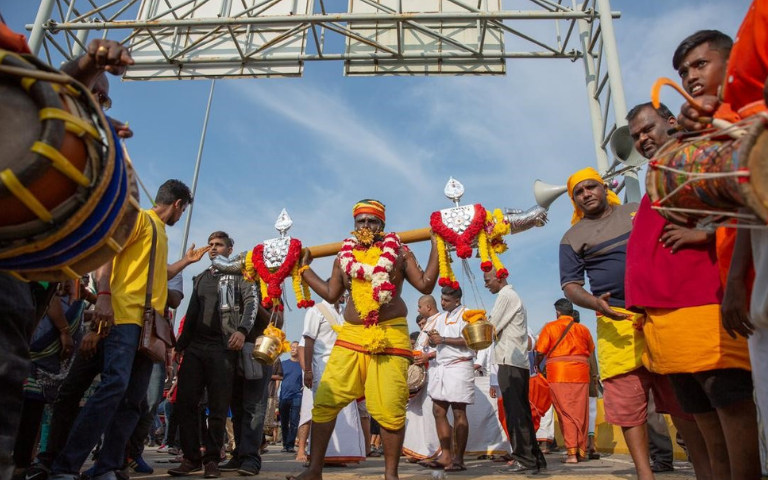 The Paal Kudam means carrying paal (milk) in a kudam (vessel in the form of a pot) which is usually kept and carried on the head, to be offered to Lord Murugan. This milk will then be used by the priest to perform Paal Abhishegam. The magnificent peacock Kavadi captures the imagination visitor and devotees alike. The bearer not only walks, but he also dances to the beats of the drum, as he marches toward his beloved Lord Murugan.